A gift from the Pfau Foundation will support the The Cincinnati Art Museum's Art for Life community engagement initiative, which aims to inspire different communities in Cincinnati to experience and create art together. BRIDGES for a Just Community brings people together to achieve inclusion, equity and justice for all in the Greater Cincinnati Community. A gift from the Pfau Foundation will support the Leadership Development and Training Component of the Public Allies Cincinnati Program, which prepares young leaders by placing them in full-time, paid apprenticeships and providing them with intensive skills training and personalized coaching. Cincinnati Therapeutic Riding and Horsemanship provides horses, training and volunteer assistants for people with disabilities in order to develop physical and mental skills, promote socialization and communication, and build independence and self-confidence. A gift from the Pfau Foundation will support its Year-Round-Riding Indoor Ring Renovation and Expansion project. The Brighton Center provides family support services, education and leadership to families in Northern Kentucky. A gift from the Pfau Foundation will support its Bright Days Playground renovation project. The Arc Hamilton County advocates equal opportunities for people with developmental disabilities. A gift from the Pfau Foundation will support the Investing in The Arc program, which provides targeted services and advocacy for individuals with developmental and intellectual disabilities and their families. The Big Brothers Big Sisters of Greater Cincinnati helps children reach their potential by pairing them with adult role models. A gift from the Pfau Foundation will support its Community Based Mentoring Program, allowing BBBS to serve almost 800 children in that program alone. BBBS serves more than 1,300 children in its programs each year. The Boys & Girls Clubs of Greater Cincinnati provide a place for youth ages 6 to 18 to spend non-school hours where they can learn and grow through participation in special activities and programs. A gift from the Pfau Foundation will support the Avondale U.S. Bank Boys & Girls Club Teen Center which combines dedicated teen space and professional youth development staff to provide a safe, positive environment with age-appropriate activities and individual support and coaching to motivate teens to stay in school and graduate. The Central Clinic provides behavioral health services and care for children and adults. A gift from the Pfau Foundation will support its Childreach Program, which promotes healthy child-parent relationships by strengthening children's social emotional development, and by educating parents and child-serving professionals. The Center for Chemical Addictions Treatment provides support and treatment for those with chemical addictions. A gift from the Pfau Foundation will support the Suboxone Program, which eases withdrawal symptoms for those suffering from opiate addiction. The American Heart Association is a national voluntary health agency whose mission is: "Building healthier lives, free of cardiovascular diseases and stroke". The Hamilton County Special Olympics provides sports training and competition for developmentally disabled children and adults in order to help them develop physical fitness, build confidence and experience the joy of achievement. A gift from the Pfau Foundation will support the Hamilton County Special Olympics winter sports programs. Cincinnati Youth Collaborative makes a significant difference in the lives of young people in grades 3 through 12 by providing mentoring and college readiness services. ProKids trains volunteers to become Court Appointed Special Advocates (CASAs), who are assigned to foster children so they may look after the child's well-being and ensure that the child finds a safe, nurturing, permanent home. A gift from the Pfau Foundation will support its CASA University, a year-round program that trains CASA volunteers to be effective advocates for children in foster care and provides educational opportunities to the community-at-large. The Emanuel Community Center provides a wide range of programs for children and adults in the Over-the-Rhine community. A gift from the Pfau Foundation will support the Children's Learning Center, a daycare focused on preparing children for kindergarten, and the EmanUlearn program, which teaches study skills to students in grades K-8. Fernside is the nation's second oldest children's grief center, providing peer support groups, a summer camp and community outreach programs for grieving children and their families. A gift from the Pfau Foundation will support its evening and in-school grief support groups. The YWCA of Greater Cincinnati strives for the elimination of racism and the empowerment of women. A gift from the Pfau Foundation will support its Girls Incorporated programs, which promote economic and media literacy, provide leadership education, and encourage interest in science and math. Girls Incorporated also provides physical safety and fitness programs, adolescent pregnancy prevention programs, and peer-pressure resistance education. Healthy Beginnings provides medical services for under-resourced women without health insurance who are experiencing unplanned or crisis pregnancies. A gift from the Pfau Foundation will support its Networked Ultrasound System project. The Welcome House of Northern Kentucky provides a continuum of services and support for those who are homeless or at risk of homelessness. A gift from the Pfau Foundation will support its Gardens at Greenup program, which provides affordable housing with on-site support services including intensive case management and licensed quality childcare, so that families may set and achieve educational and vocational goals with the ultimate goal of self-sufficiency. The Hearing Speech and Deaf Center of Greater Cincinnati works to improve communication for the deaf, the hard of hearing, and people with speech disorders. A gift from the Pfau Foundation will support the Deaf and Hard of Hearing Advocacy and Adjustment program. Jobs for Cincinnati Graduates assists high-school students and dropouts to help them graduate and make the transition from school to career. A gift from the Pfau Foundation will support its Enhancing Youth Success in College/Career project, which provides hands-on educational enrichment activities, internship, job development, and leadership development. The Point/Arc of Northern Kentucky helps people with special needs reach their highest potential educationally, residentially, socially and vocationally. A gift from the Pfau Foundation will support its 2009 Summer Camp, which will teach and train students aged 16-21on topics including cooking, cleaning, hygiene, vocations, decision making and self advocacy. 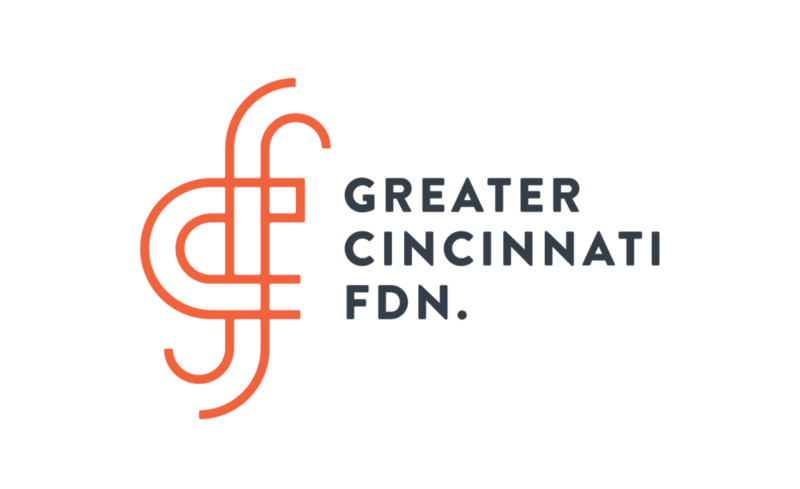 Cincinnati Works a holistic approach to eliminating poverty in the Cincinnati Tri-State area through a network of services and partnerships designed to help our Members overcome the barriers to stable, long-term employment. The Redwood School and Rehabilitation Center helps children and adults with multiple and severe disabilities to achieve independence by providing educational, vocational and therapeutic services. A gift from the Pfau Foundation will support its Community-Based Education programs.The Redwood School and Rehabilitation Center helps children and adults with multiple and severe disabilities to achieve independence by providing educational, vocational and therapeutic services. A gift from the Pfau Foundation will support its Community-Based Education programs. Santa Maria Community Services provides a wide range of family services. A gift from the Pfau Foundation will support its Youth Development Program in Price Hill, which allows children access to homework help and after-school programs, as well as life skills development activities including sports teams and summer camp programs. The Mental Health Association of the Cincinnati Area promotes the prevention of mental illness, the improvement of attitudes toward mental illness, and improve services for persons affected by mental illness. A gift from the Pfau Foundation will support its server upgrade and replacement project.